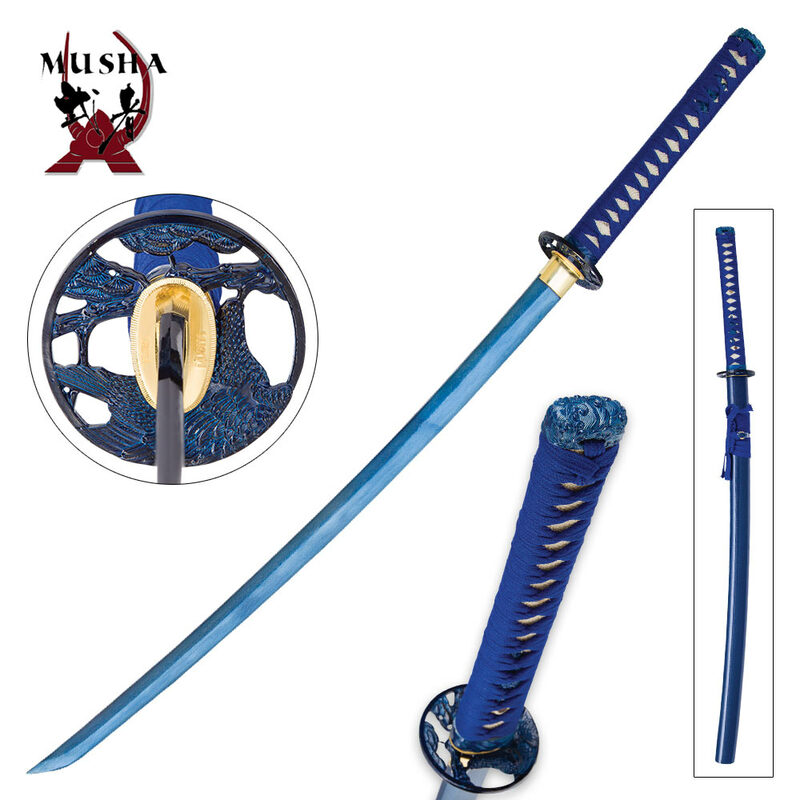 Musha is one of the most well-respected brands in the industry and is highly regarded by sword collectors. 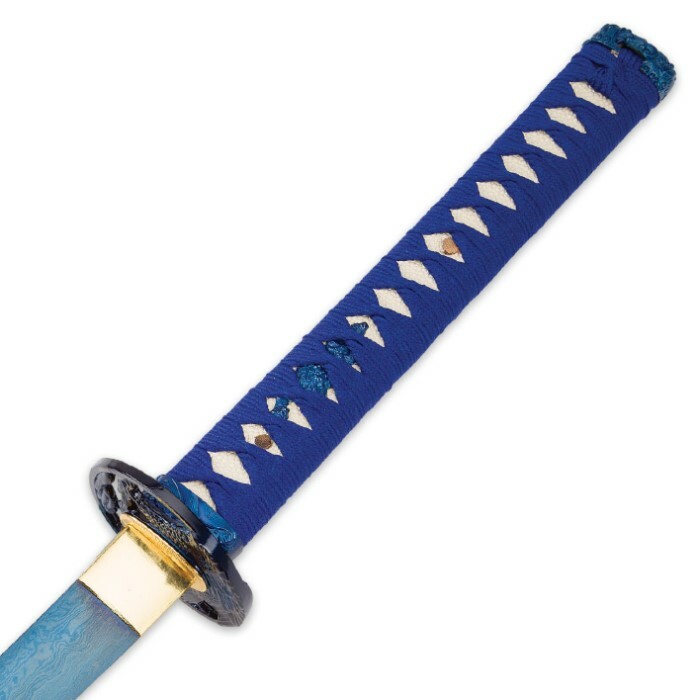 Our Musha Blue Damascus Blade Samurai Sword is certainly no exception because it has a unique 28 1/2” blue Damascus steel blade that makes it truly striking, along with the highly detailed, decorative tsuba that is a midnight black. The handle is wrapped in the traditional samurai sword style and double bamboo pegged to the blade for a secure, battle-ready grip. 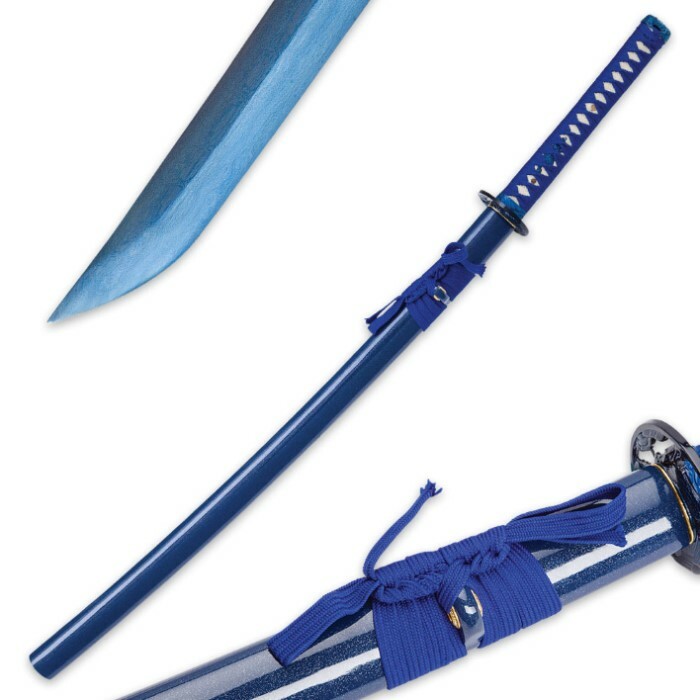 A blue, hardwood scabbard houses and compliments the magnificent blade.